A luxury yacht charter can be the ultimate holiday that provides families with quality time together, honeymooners with spectacular scenery, sunsets and privacy - and even offering corporate event charters the opportunity to mix business with pleasure. Luxury yacht charter brokers are what ensure your entire experience runs as smoothly as possible from start to finish, so that you can focus on living in the moment on your stress-free superyacht cruise. Here are six essential reasons why you shouldn't go it alone when organising your own charter on a motor yacht or sailing yacht, and how the expert brokers at CharterWorld can assist you in finding paradise and peace of mind. Read some of their personal advice here. As an independent charter broker, CharterWorld places the client's interests first and not the Owner's. As a result, we can offer you a massive selection of yachts from the entire charter market to suit your budget, occasion and interests. It's not just the size of the boat that matters! Find yourself a stunning luxury yacht with a friendly and professional crew, excellent on board facilities for exercise, entertainment and relaxation. The selection of water toys can be as important as your destination and whether you want to learn how to Scuba dive and jet ski during your holiday or simply stretch out on the inflatables and float above glass-like water, yacht charter brokers can ensure there is something to suit all ages for fun-filled hours in the sea. 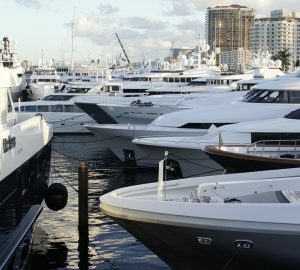 CharterWorld brokers have decades of experience within the luxury yachting industry and a worldwide presence, meaning that we are knowledgeable in the local market and can inspect vessels and crew during annual industry events. Another benefit of our long-established reputation is our outstanding rate of repeat clients, who come to CharterWorld brokers for the easy-going rapport and for new and exciting itineraries based on known preferences. While you will save yourself time and avoid stress by choosing a yacht charter broker there is another important reason: Reputable charter brokers will adhere to industry standards and will have qualifications to ensure these ethical standards are maintained. The Worldwide Yachting Association (MYBA) and the Charter Yacht Brokers Association (CYBA) are two fundamental organisations maintaining the standards of your charter experience. Yacht charter brokers will secure vessels and crews that meet these standards and, if any issues arise during your charter, there is a legal framework to help resolve it. When you book a luxury yacht charter the broker's fees come directly from the superyacht Owner, so once you've paid for expenses such as fuel, food and drinks (which is usually calculated as an 'Advanced Provisioning Allowance' at 30% of the charter price beforehand) you don't have to worry about additional expenses cropping up once you've returned home. With all the paperwork involved as well as liaising with captains and Owners and then sorting out the provisions and yacht charter itinerary for everyone on board, an experienced yacht charter broker quickly becomes an essential part of planning your holiday from the start. Leave the organisation to someone who knows the industry and spend your time truly savouring every sunset meal and exotic destination your encounter in good company. If you're planning a break on the water and need advice on destinations, things to do or the kinds of facilities available on board, contact the expert brokers at CharterWorld for a response tailored to your requirements. Yacht charter brokers are an essential part of selecting the perfect superyacht, crew and itinerary for your lavish getaway break and the work they do behind the scenes ensures that everyone on board has a fantastic time before the adventure even begins. If you're thinking of booking a luxury yacht charter, here are six reasons why you should use a yacht charter broker.